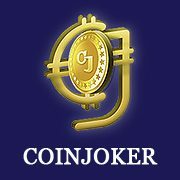 Coinjoker – Cryptocurrency Exchange Script having the multiple options to secure each & every bitcoin Trading transactions. We care about our customers digital wallets through multi-sig benefits. Top level Bitcoin Trading Business for Bitcoin Startups & Cryptocurrency Entrepreneurs!